PAT testing is also known as Portable appliance testing. Every Business in Eastleigh requires PAT testing as an important part of it’s health and safety policy. The Health and Safety at Work Act (1974) requires PAT testing, where appliances are used by employees or the public, as well as when the appliances are supplied, hired or serviced. This of course encompasses most businesses. 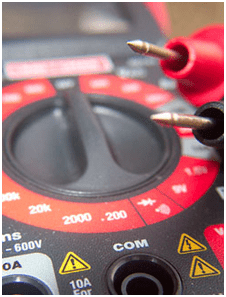 JTB Electrical provide PAT testing in Eastleigh to very high standards, and have a good reputation providing the services for a large number of clients. JTB Electrical has been running for just over 10 years now, From humble beginnings our passionate electricians together made JTB a thriving company and to this day we now have a full team of dedicated technicians that consistently provide a high quality service to customers. We are very well known with a wide range of services available across Southampton servicing both commercial and domestic customers. Our electricians will deliver whatever you require to the standards we have all been taught to do here at JTB. Looking to the future, we aim to keep providing quality services across Southampton and continue to expand as a company. Our PAT testing services provide us with the ability to carry periodic testing and inspection of fire alarm systems and emergency lighting systems to BS5839 and BS5266 respectively. We can also carry out routine contract maintenance for fire alarm and emergency lighting on a one month or quarter year basis in conjunction with it’s annual inspection. Depending on the condition, use and age of the installation the engineer will recommend a maximum safe time period between inspections. The industry recommends a domestic installation (PRIVATE) should be tested at a MAXIMUM time period of 10 years. With the new regulation changes of BS7671 2008 it is now part of the regulations that periodic inspection & test of a fixed wiring installation be carried out at routine intervals. Testing and Inspection service includes. Over our years of service we have provided testing and inspection to a wide range of services and industries. Just recently due to changes within the building industry, insurance companies and the buy to let market. Testing has become more common place. For example rental properties require testing once a year. For commercial and industrial premises the time periods are more complicated, depending on the number of employees and the type of industry. We are happy to give further advice when you contact us. For over ten years, we have always been pushing our skills and knowledge to a new level to ensure with future designs, servicing remains at the highest of standards, as well as consistently providing an efficient and cost effective service to our current clients. JTB Electrical are NICEIC approved contractors, this accreditation is recognised to show contracting excellence. If you are looking to have PAT testing for your premises in Eastleigh to ensure you adhere to industry safe standards and you are also getting the best out of what you own. Our team here at JTB can help, please contact us today on 023 80 731575 or why not send us an email at info@jtbelectrical.co.uk.